As Spain’s hunting season comes to and end, thousands of greyhounds face being left to die by owners who don’t want to look after them during the off-season. Animal charities say up to 50,000 of these working dogs – known as galgos – die each year because of this, some simply being abandoned, others being brutally killed. It’s also being reported some dogs are left down wells, with the entrance then boarded up so they can’t get out, while others are tied to train tracks and left for dead. Campaigners estimate there are around 200,000 registered galgueros – people who own the dogs for the controversial sport of hare coursing – who each own a number of dogs, thousands of which are abandoned at the end of the season. Anna Clements, who works with Barcelona-based charity SOS Galgos, has been campaigning to save the greyhounds, saying they’re struggling to cope with the sheer number of abandoned dogs. This is Spain’s dirty secret and something tourists rarely see. We are expecting an influx of thousands of abandoned dogs but we, and other charities, cannot cope. We cannot save them all. They are brutally treated when the hunters have finished with them – some are thrown down wells and the well opening is blocked off with wood. But some survive and we had one recently who was saved when a passerby heard her cries. Sadly, because the dogs are registered as working animals, they’re exempt from Spanish animal welfare laws, meaning the owners are able to abandon them without facing a penalty. This is a long held tradition in some rural areas and a lot of people are too afraid to speak out. This cruelty is not what tourists see but the government is slow to take action because the hunting lobby is so powerful. British tourists who have found out about the plight of galgos are very kind and generous to the cause. But we need more funds to save these beautiful animals, get them into kennels and then adopted by families who love them. We never get used to the levels of cruelty inflicted on these dogs and without us, and other charities, they will die. We can only help the tip of the iceberg, so the answer is a complete ban on hunting with galgos. 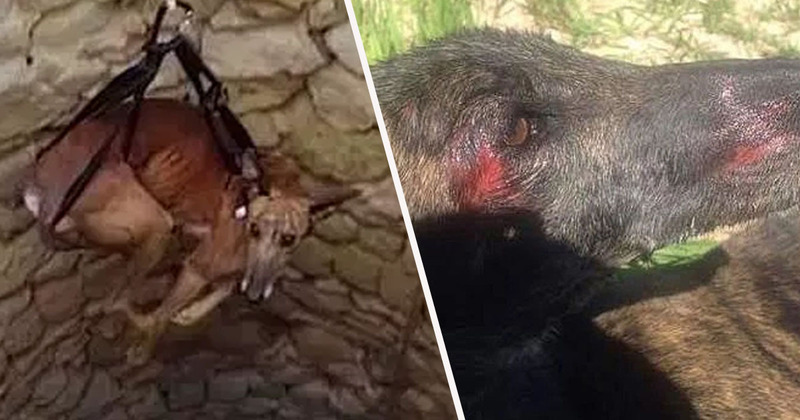 Thanks to campaigning from charities like SOS Galgos and Galgos de Sol, some provinces and towns have passed legislation on improving conditions for the dogs. However, there’s still much more to be done, with the charities seeking to not only help the abandoned dogs, but to educate people on the correct treatment and welfare of these vulnerable animals. If you want to help, visit the SOS Galgos website here.